As Spain fights for its freedom against tyranny, Felix battles a conflict of the heart. With the civil war raging around her, Felix must make choices that will change her life forever. An epic and moving historical adventure from debut author Lydia Syson. I really enjoyed A world between us and was completely drawn in and fascinated by the story from the first page unit the last. It is a real example of the way in which I think historical fiction should be written and is certainly a book I shall be recommending regularly to others. What I first,y loved about this book was the subject it covers. Even having studied for a modern European history degree I am ashamed to admit that I knew relatively little about the Spanish civil war and actually now I feel like I should know more because I found this book and the history behind it such a fascinating read. For me it does exactly what a historical novel for young adults should do. It gives you a flavour of the historical period, setting and events and gives you enough information without over burdening you and therefore never becoming dry and dull whilst giving you a main character who you really become invested in from the first page so that you need to know more about them and the story they have to tell. I loved the main character Felix. She is such a strong character in a quiet and unassuming way. 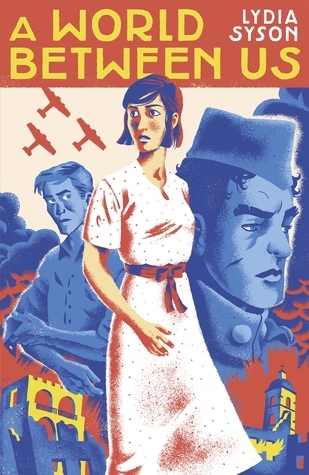 She volunteers to go and work as a nurse in Spain on a whim following a boy she meets and suddenly finds herself in the thick of a foreign war with the lives of hundreds of men in her hands and she rises to the challenge brilliantly. The history geek in me was completely fascinated with the medical side especially when you see the ways in which Felix and the doctors around her are treating patients with brand new techniques which are literally only being used in some cases for the first time ,asking them pioneers in the field. I really loved the love triangle that emerged as the book progresses between Felix, the boy she followed the Spain called Nat and the boy who followed her to Spain called George. I actually loved how it turned out completely. There's so much more I could say but I don't want to spoil the twists and turns that made his book such a good read for me. It is a brilliant read and a book I will continue to recommend highly both with my book blogger and history teacher hats on.